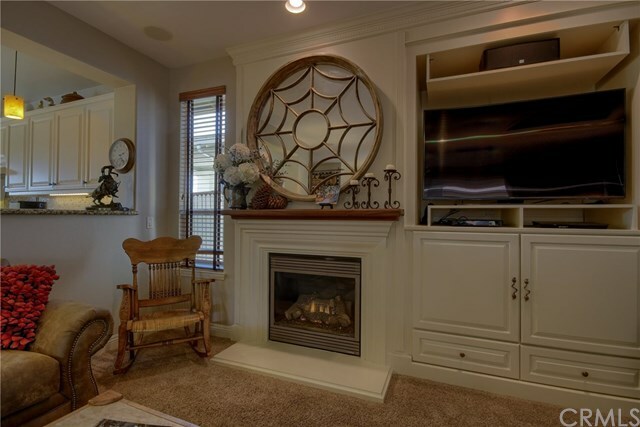 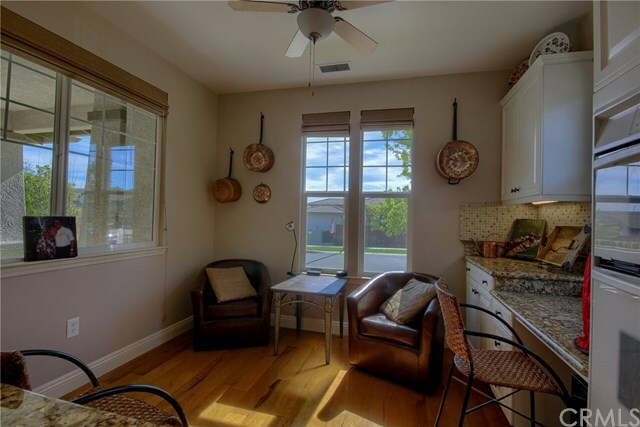 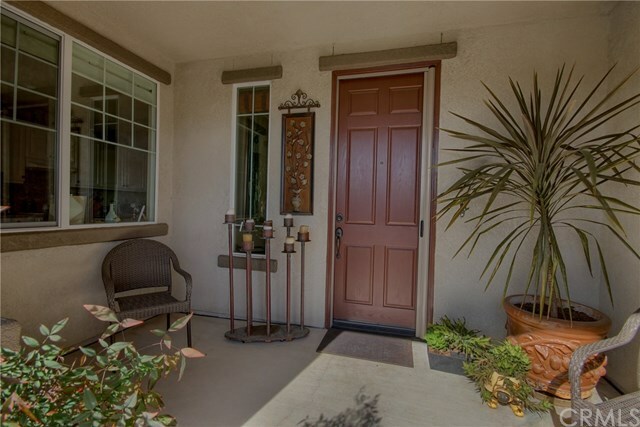 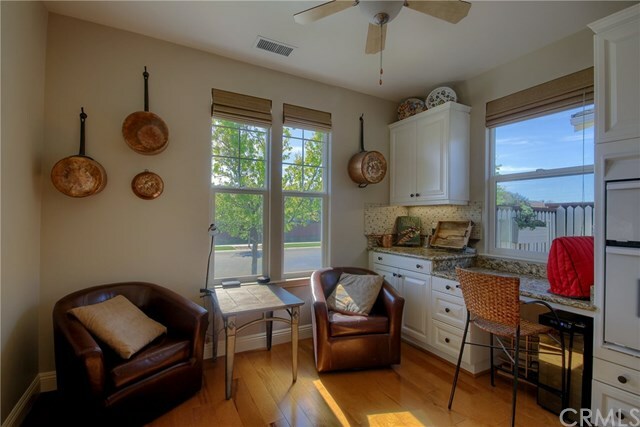 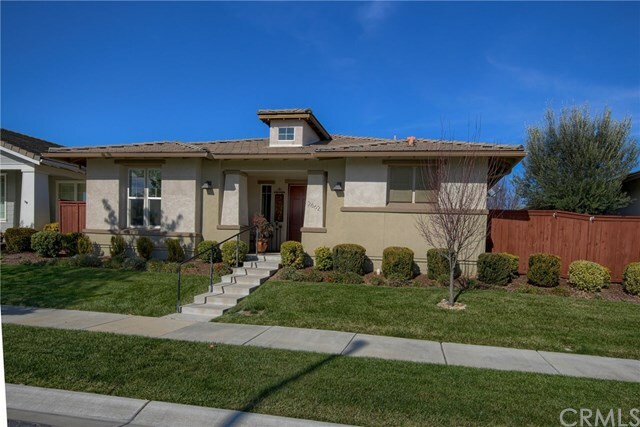 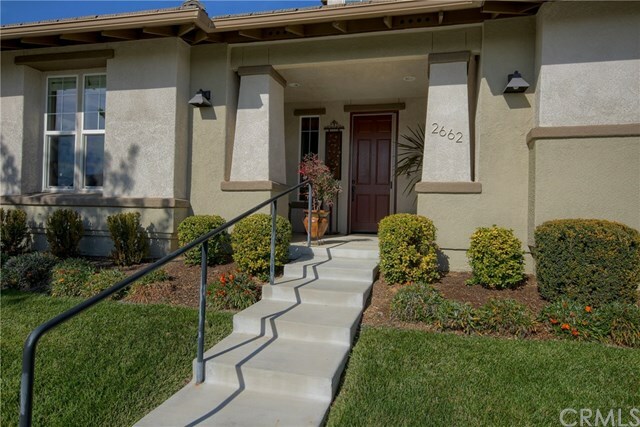 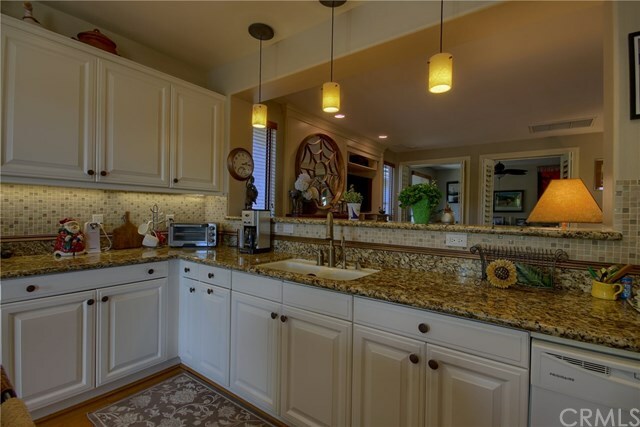 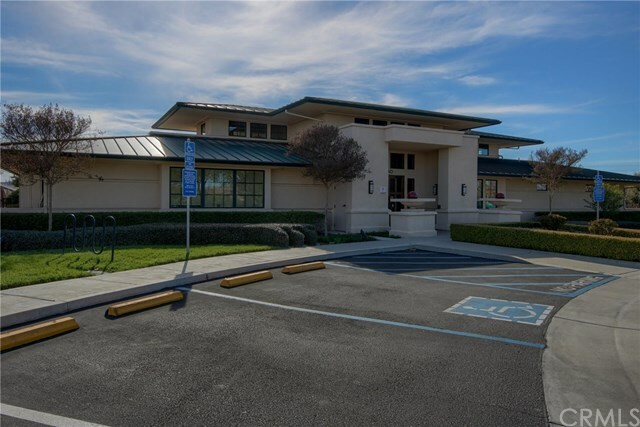 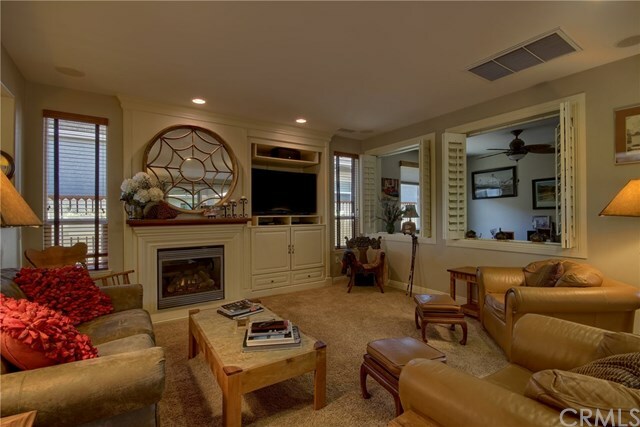 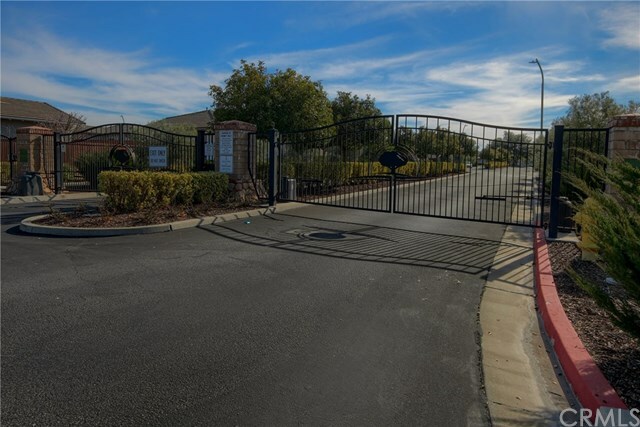 The Traditions is a gated 55+ community. 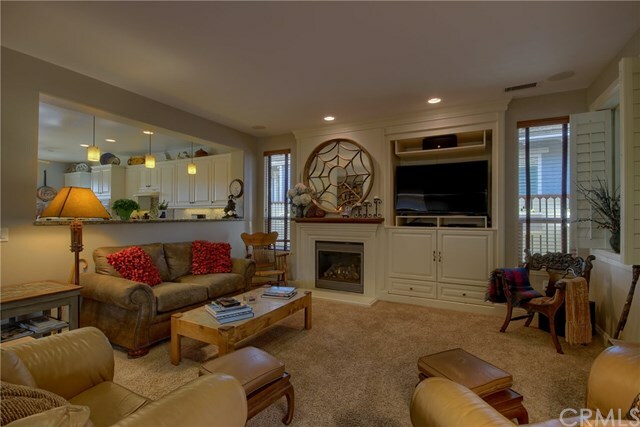 This home features a formal living room with a mantled fireplace, a built-in entertainment center and recessed lighting. 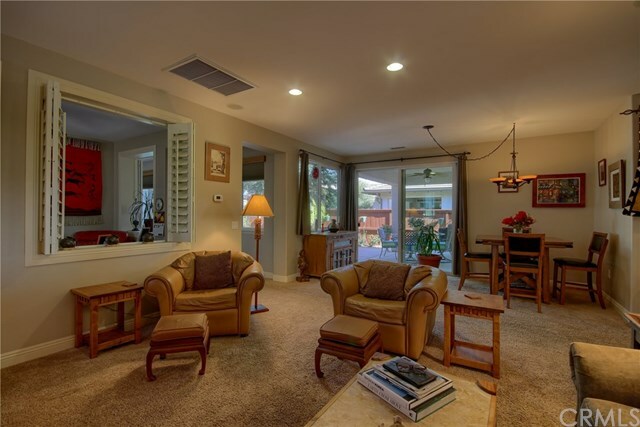 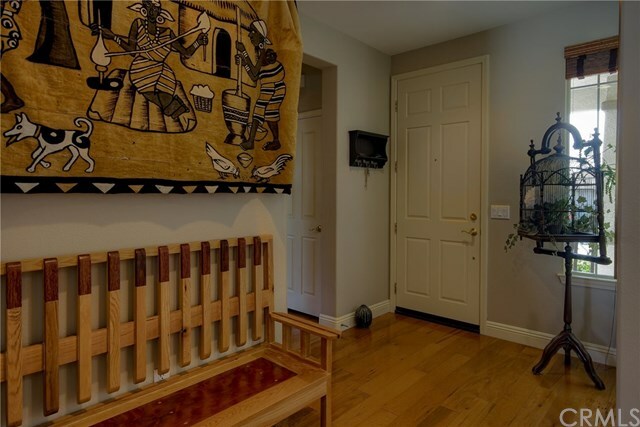 9 ft. ceilings throughout enhance the spacious feeling of this home. 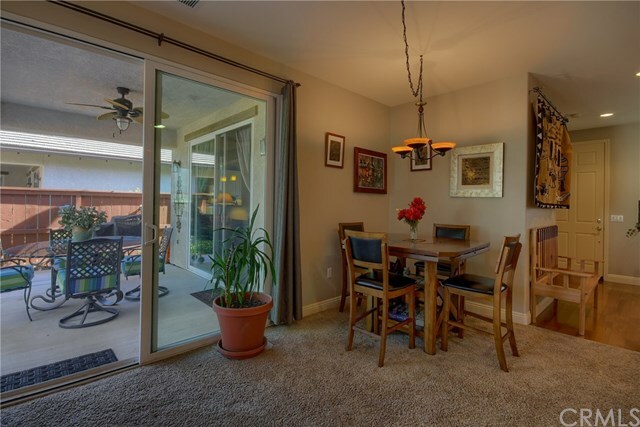 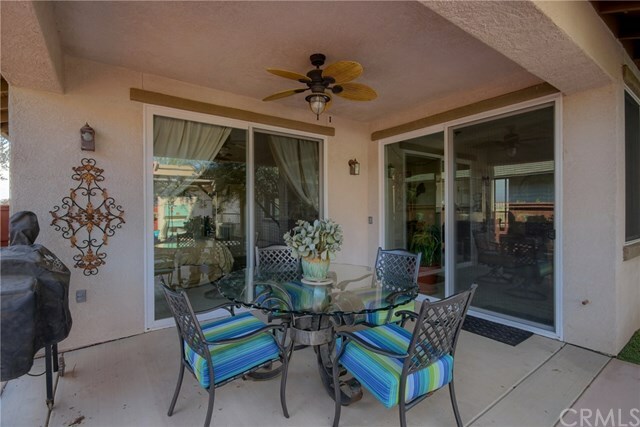 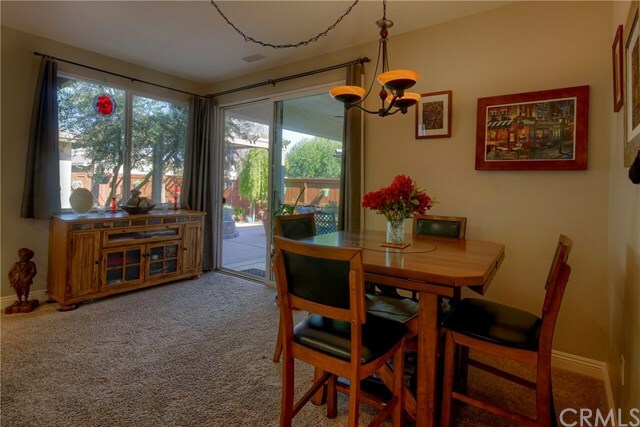 The dining area has a sliding glass door that opens onto the patio. 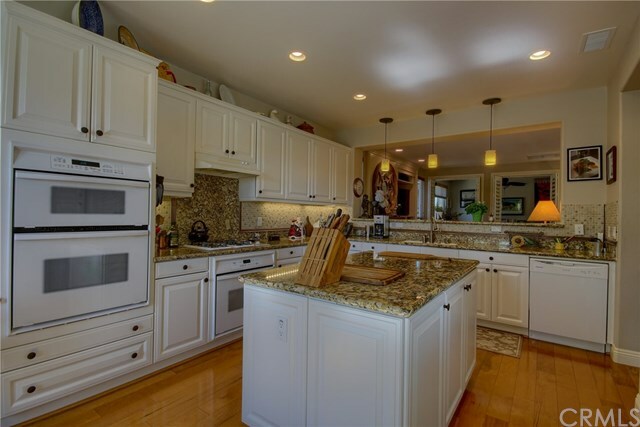 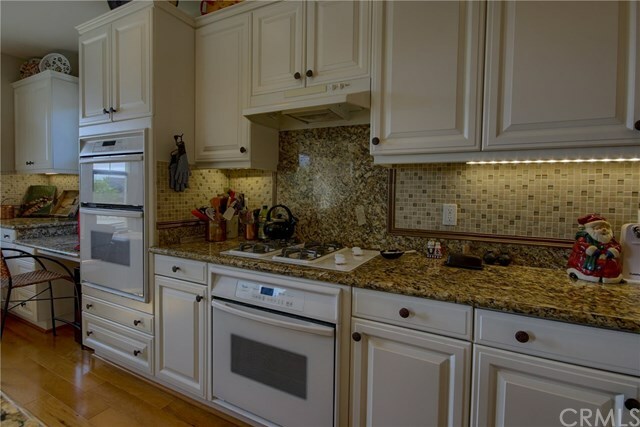 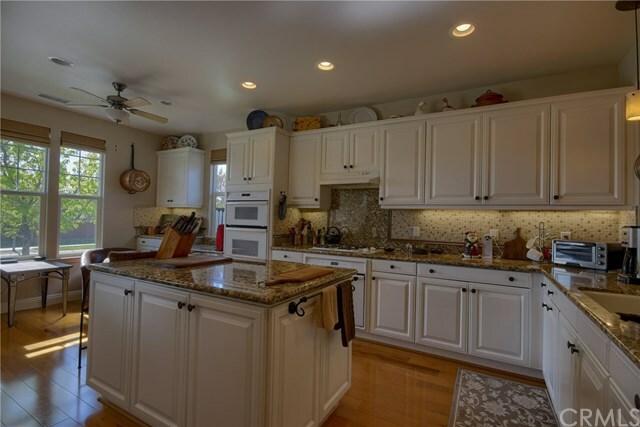 The spacious kitchen includes beautiful cabinetry, hardwood floors, a large center island, granite counters, built-in microwave, 2 ovens and a sunny breakfast area to enjoy your morning coffee. 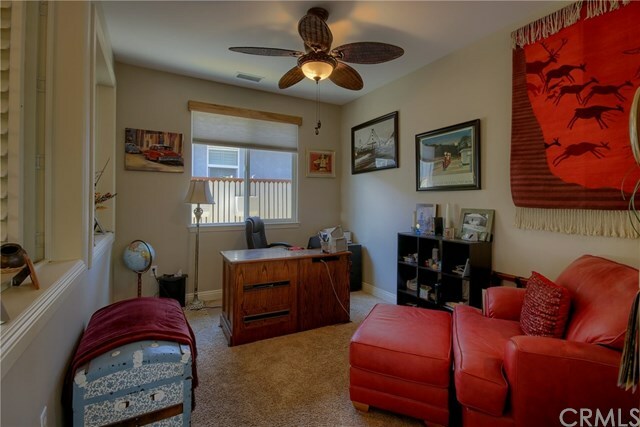 Next to the living area is a room that can be used as a Den or an Office with shuttered openings that look into the living room. 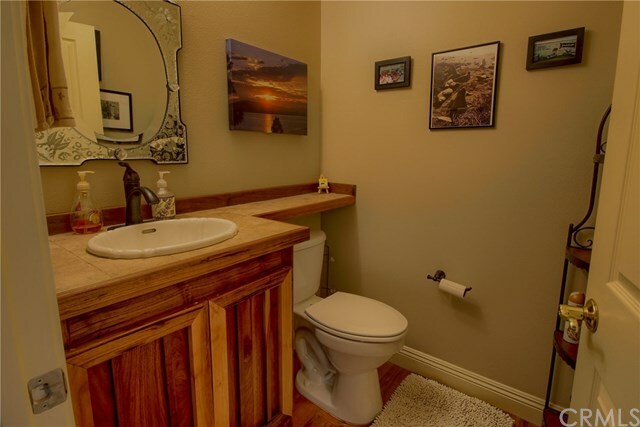 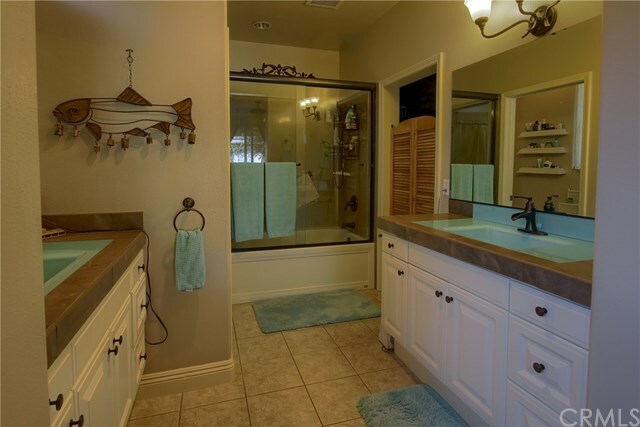 The hallway bath features a custom made Walnut cabinet and tile floors. 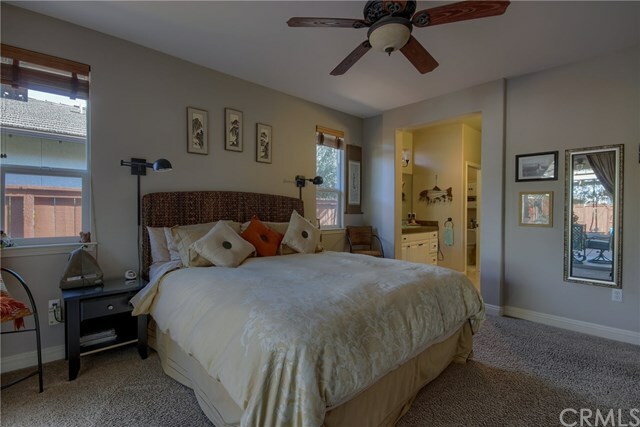 The Master suite contains a spacious walk in closet with built-ins. 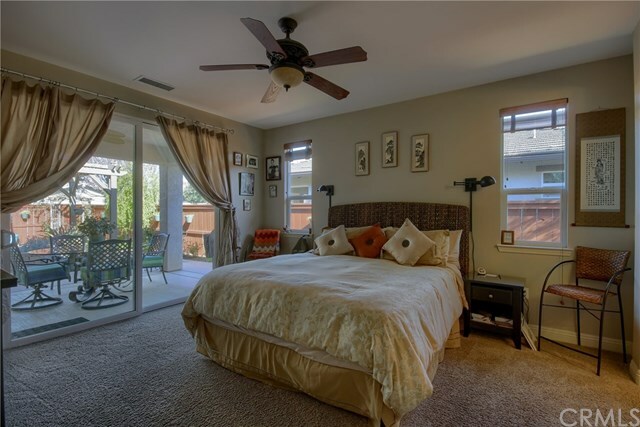 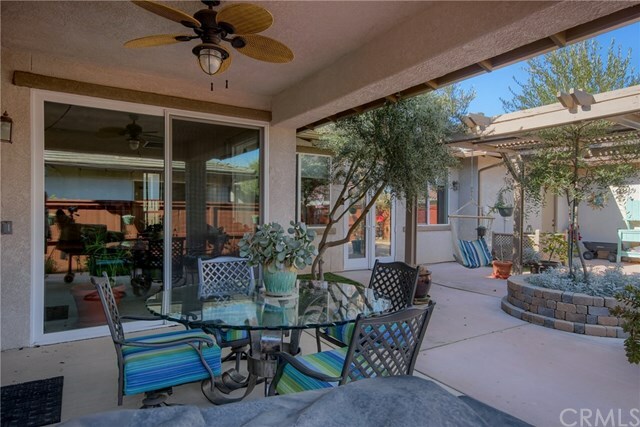 From the Master Bedroom there is a sliding glass door that leads to a covered patio. 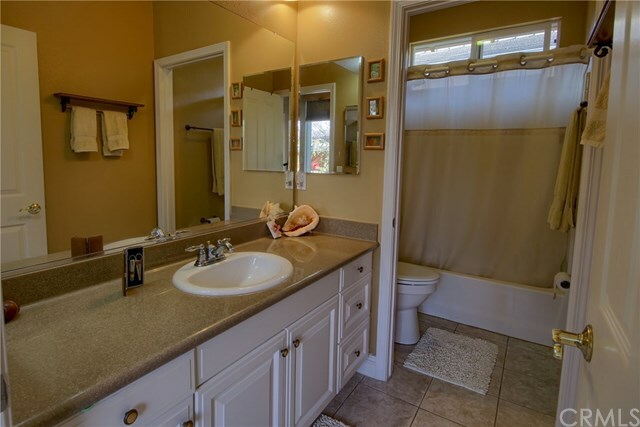 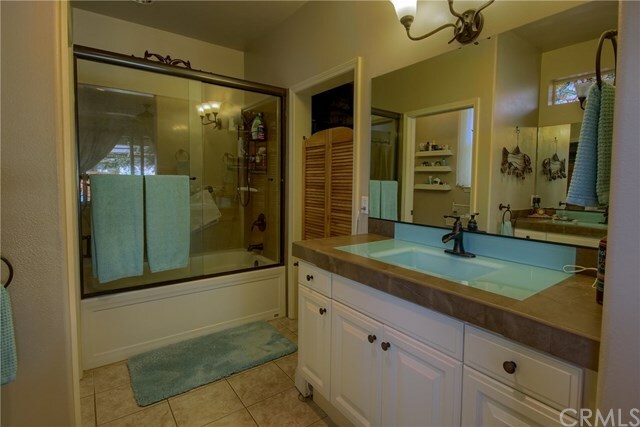 The Master bath features tile floors and dual vanities each with unique glass sinks. 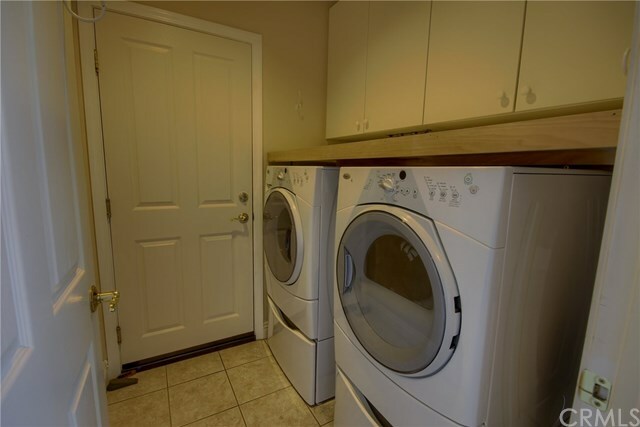 The separate laundry room has storage cabinets, a folding table and tile floors. 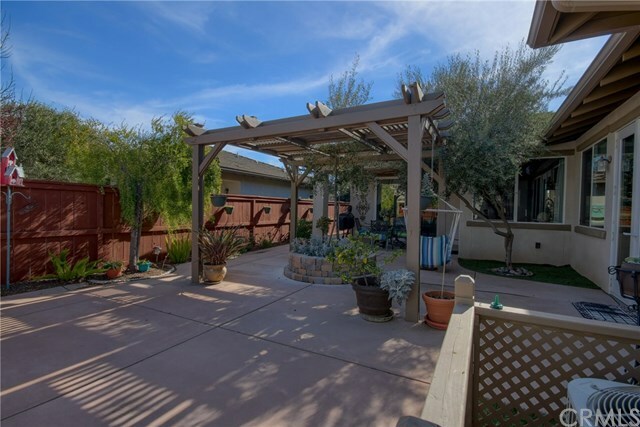 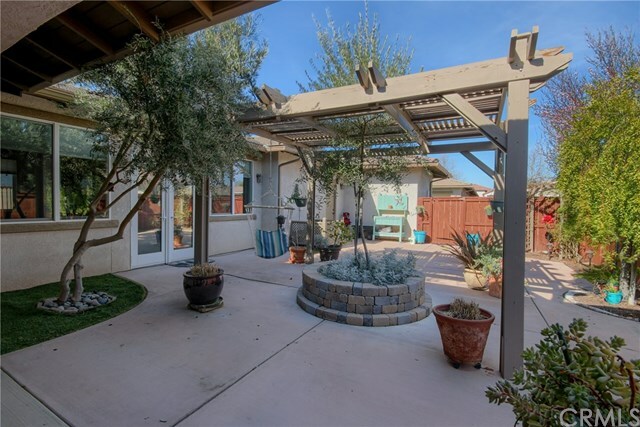 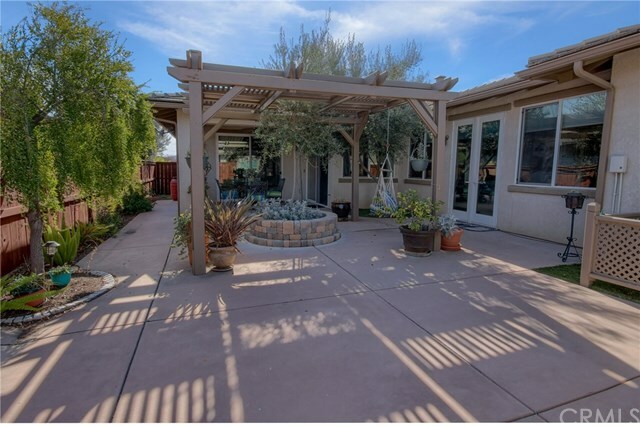 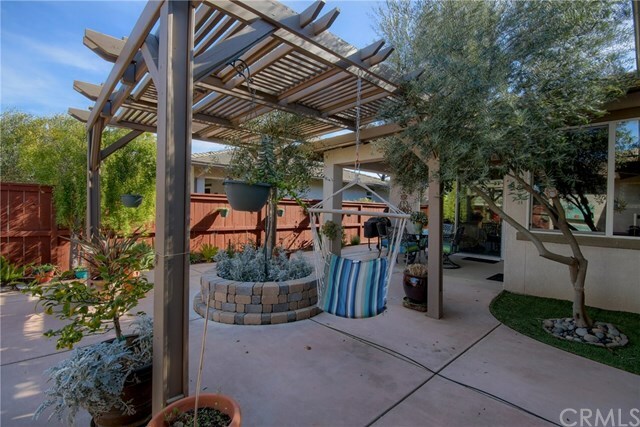 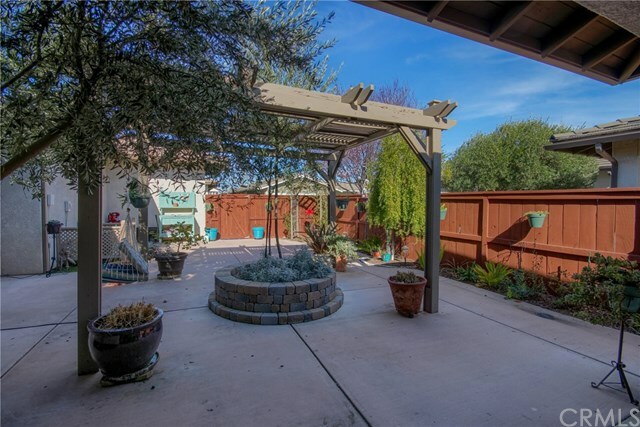 The rear yard is fenced and very private and has 2 covered patio areas make entertaining outdoors a breeze. 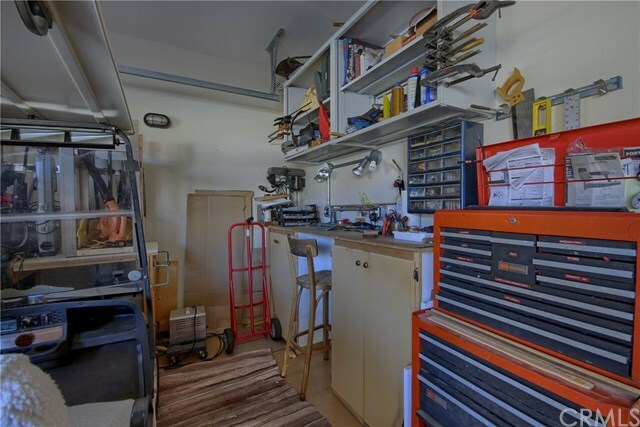 The attached 2 car garage has storage cabinets and overhead storage plus an area perfect for a workshop. 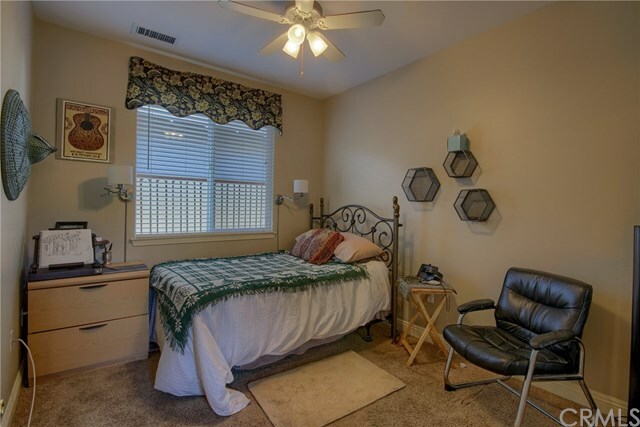 All this plus you are within walking distance to the pool and clubhouse .